Good morning everybody. I have some exciting news this morning. 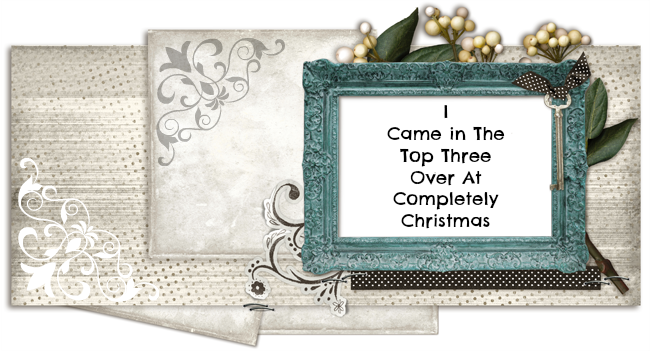 Today is the launch of a brand new challenge blog Crafty Time Challenges and I am thrilled to be a member of the design team. We are a monthly blog and we publish on the first of the month. 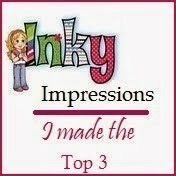 We would be so pleased if you could join us and enter one your fabulous creations. 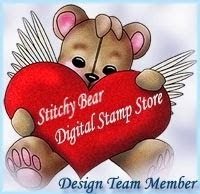 This first month we are sponsored by Sherri Baldy Designs and you will find her super creations here. The theme of this first challenge is "Use Something New". Now this could be new image, paper, die etc - anything from your stash that you have not used before. My "something new" is my Tonic Square Trellis die which I have had for about six months and not used. Slapped wrist ... lol! Backing paper - Lili of the Valley "Pastel Dreams"
Here is what you could win - what are you waiting for? Sorry I have been AWOL for a while. I went up north to visit my sister. We are very close but don't see each other often enough since we live so far apart. As you can imagine we had a great time and lots of laughs - did both of us the power of good! Nothing like a good laugh to make you feel better about everything. What a change in the weather. It is so cold here that I'm sure it will snow. We have had some hail stone flurries over the past day or two so let's hope it doesn't get worse. 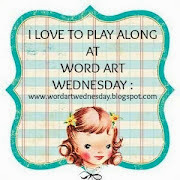 I will get round to some blog visiting later today and I'm sorry for neglecting you all. 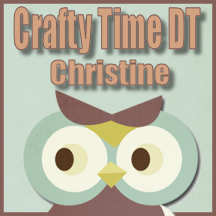 Congratulations on your new DT post Christine, I will hop over and take a look in a minute. 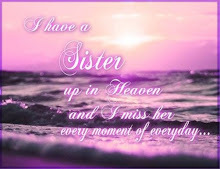 Glad to hear you had a fab time with your sister - a change of scenery and company is as good as a tonic for your soul - I wish I had a sister to share things with at times it must be nice. 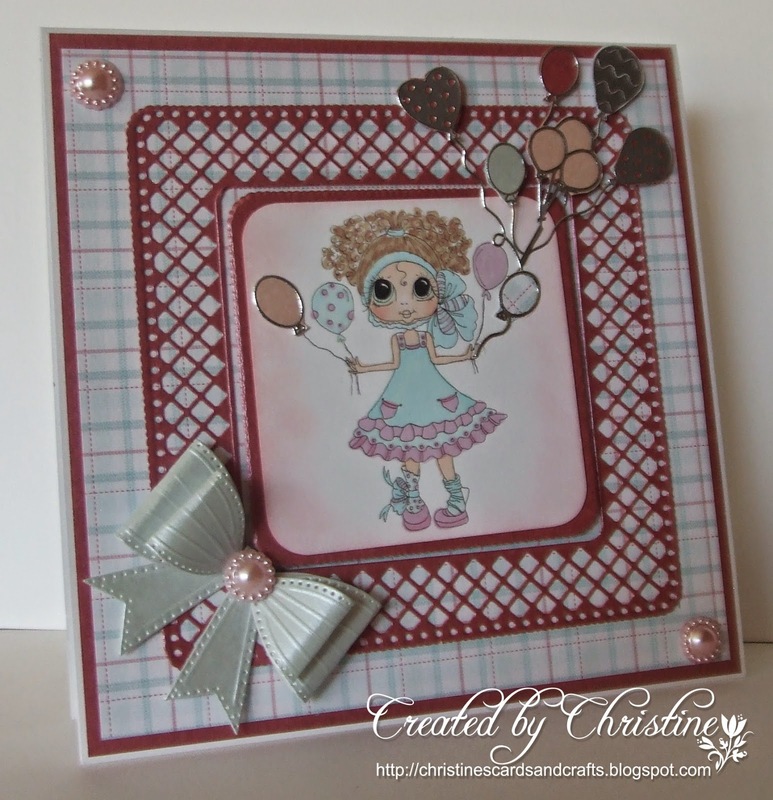 Beautiful card Christine love that image and the pretty design and colours. Wonderful card Christine, lovely design and colours, I do love your frame. Pleased you had such a good time with your sister. Lovely card, very cute image. No need for apologies chuck. Slapped wrist indeed for not using this die but it was worth the wait to see it on this lovely card. Good luck on your new DT. Love your stunning card, that Trellis Die is brilliant. Glad you had a good time with your sister, it's good to talk and laugh. Love your fab design of this, and all the things used on it. Sorry I haven't e mailed, but I will do that in a minute, now I know your back home. Love and biggest hugs to you and John. Beautiful lattice die! I also love the balloons and you totally make me want to dig out my bow die. :D Glad we are on the Craft Time DT together!